The Junius Team have been taking a well-deserved break from the wonderful world of UKIP. And in our absence nothing much has changed. We note that UKIP is putting up candidates to run for police commissioner in various parts of the country. The biggest laugh is that Godfrey Bloom is standing in Humberside! That's rather like putting Jack the Ripper in charge of a women's refuge! Of course, none will get elected. UKIP's Corby by-election candidate has caused some ruffled feathers in the East Midlands. That she stood against UKIP in a previous election and couldn't be bothered to stand for the party in local elections has been noted. That she is yet another wannabe MEP candidate and friend of Lisa Duffy also comes as no surprise. So Lisa Duffy is in charge of the campaign! Wonderful! They never learn do they? Ms Duffy is about as much use as a chocolate teapot on a very hot day! 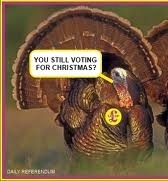 UKIP has now become a complete irrelevance in British politics. They will never get anyone elected to Westminster. They will never form a government. 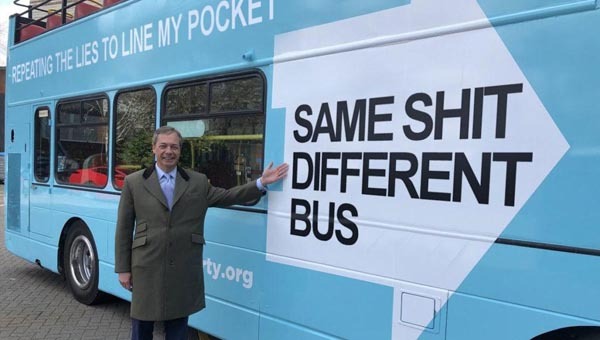 UKIP exists solely to keep Farage and his sycophants on the EU Gravy Train. Nigel and his chums have done very well out of the EU and the UK taxpayer. So why would they want to vote themselves out of a job? 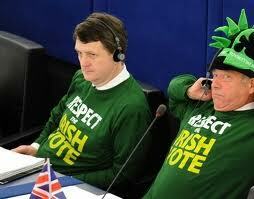 They may get MEPs back in 2014, but they will achieve nothing. Are we any closer to getting out of the EU thanks to UKIP? The answer is no. We are far more likely to get out of the EU thanks to EU debt and the fall out following the collapse of the euro zone.